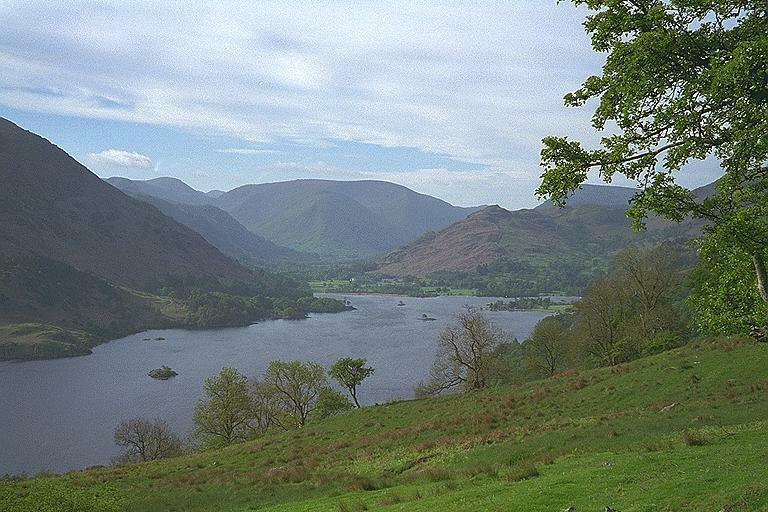 The path in Glencoyne Park is the source of some of the best views of Ullswater. Patterdale lies beyond, sandwiched between Place Fell and Arnison Crag. Caudale Moor provides the backdrop. Smaller version of this picture.